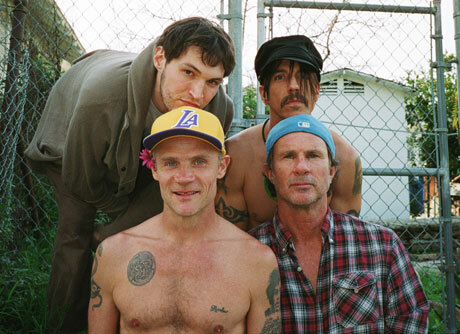 Red Hot Chili Peppers are back on the road following singer Anthony Kiedis's recent foot surgery, and the perennially shirtless funk rockers are getting back into the swing of things by adding even more shows to their already massive 2012 schedule. The latest leg of the band's tour will take place in Western Canada, where the band will play five shows. The trip will launch in Vancouver on November 17, and the group will then make their way to Calgary, Edmonton and Saskatoon before wrapping up in Winnipeg on November 26. Before that, the Chili Peppers will play Canadian gigs in Toronto, Ottawa and Montreal this spring, in addition to a generous selection of already announced shows around the world. See the full schedule below. Remember that all of these shows will be recorded and sold as live albums.